16-17 May 2016. Milan, Italy. 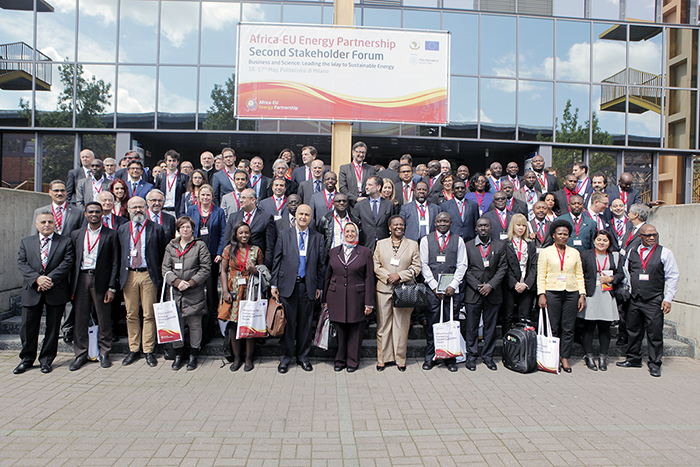 Held every three years as a high-level event, the Stakeholder Forum is one of the key strategic dialogue events organized by the Africa-EU Energy Partnership (AEEP). Convened under the theme ‘Business and Science: Leading the Way to Sustainable Energy,’ the Second Stakeholder Forum brought together EU and African ministers and heads of regional institutions, as well as more than 300 high-level delegates from public, private and non-governmental sectors with a view to galvanizing renewable energy innovation, investment and Africa-EU energy cooperation. The Forum was jointly organized by the AEEP, the Italian Government, the African Union Commission and the European Commission. The Forum was organized around technical thematic discussions on the AEEP themes of energy access, energy efficiency, and renewable energy and energy security on the first day, and a high-level session on the second day. In addition to plenary and specially structured panel discussions, there were targeted networking, business match-making and media events, as well as a parallel exhibition and fair showcasing the latest technological innovations. In the context of the 2030 Agenda on Sustainable Development and the Paris Agreement on climate change, the Forum provided an opportunity to further contribute to discussions around the role of energy within Intended Nationally Determined Contributions (INDCs) and the 2030 Agenda, including the AEEP’s contribution to Sustainable Development Goal (SDG) 7 on affordable and clean energy. and increasing the use of renewable energy, and improving energy efficiency in all sectors. 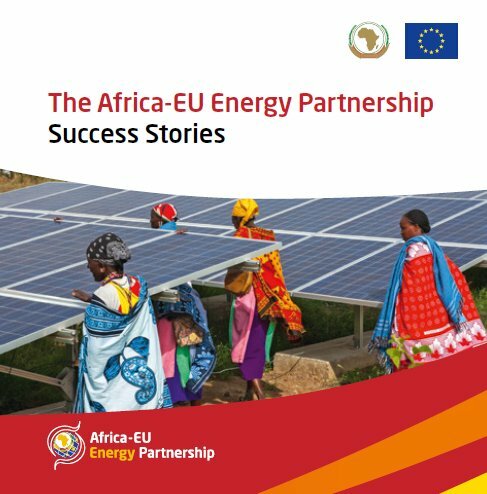 In addition, the Second Stakeholder Forum launched a number of AEEP reports and initiatives, including the Mapping of Initiatives and Programmes in Africa Report and the Intermediate AEEP Status Report. 17 September 2015. Brussels. InfoPoint Lunch-Time Conference – Global Status of Renewable Energy: Ren21’s Renewables 2015 Global Status Report. Mr. Roberto Ridolfi, Director of the European Commission for Sustainable Growth and Development, discussing: the role of different stakeholders in the Africa-EU Energy Partnership, the importance of a regulatory environment for investment, and the necessity of increasing energy in remote areas with more than 700 million people in Africa still lacking access. David Otieno, Head of the Africa-AU Energy Partnership Secretariat, discussing the partnership of equals, energy targets and monitoring. Hary Andriantavy, Executive Secretary of the Club ER and Dr. Abu Dafalla, Director of Infrastructure Development Common Market for Eastern and Southern Africa (COMESA) discussing the lack of energy access and potential for rural electrification in Africa. Dr. Elham Ibrahim, Commissioner for Infrastructure and Energy African Union Commission discussing: the success of the African-EU Energy Partnership, the financing gap and the importance of gender mainstreaming for energy access.